Sunthone is a one-stop PCB & PCBA solutions provider, offering services of PCB design & layout & manufacture, components source & assembly, products design & development with both hardware and software. Firstly established as a PCB factory in 2006, more and more of our existing PCB customers ask us for fully Assembled Printed Circuit Boards delivered to their door to take away all the time consuming stress of component procurement and assembly. In order to meet customers’ request and market developing trend, Sunthone develops into a one-stop PCB & PCBA manufacturer. And later with more and more experience in PCB assembly, we gained professional understanding on the electronic performance on the PCBA and products, so we set up R&D Department to design and development PCBA solutions and products for customers. Sunthone has professional engineers to offer schematic design, PCB design, PCBA design and full turnkey product design. Sunthone supports your project a turnkey solution from schematic design through PCB design to prototype and production, with a team of professional engineers. It has successful experience in developing home automation products, remote control systems and consumer electronics. Some of those products have integrated one or several of following modules such as WiFi modules, Bluetooth modules, GPS modules, and GSM/LTE modules. Sunthone has ISO 9001 and UL certificates, so all the products delivered from Sunthone are quality guaranteed with ISO and UL certification. Under such quality guarantees, its products are widely applied in many industrials, such as Industrial Control, Security System, LED & lightning, Power Supply, Computers and Communications. 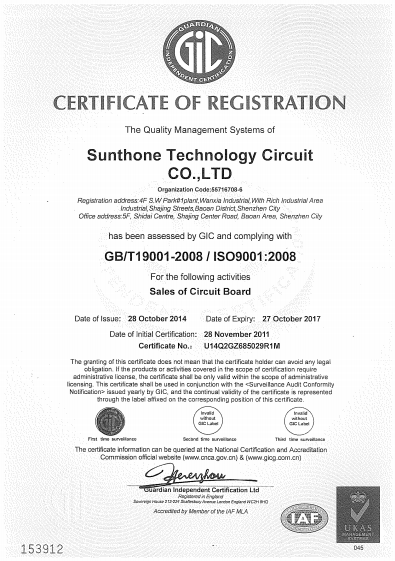 Sunthone is one of the few PCB manufacturers who have UL certificate of heavy copper PCBs. The heavy copper PCBs are widely applied in power supply systems. Its UL certificate covers maximum 6Oz copper for both single-double sided and multilayer PCBs. With such UL certificate, you will get quality assured PCBs, as well as a potential larger market for your products. Flexibility is another feature of Sunthone. It provides various services at flexible quantities from prototype to mass production in a flexible way, to meet different requirements from clients. Sunthone is always having open mind and listening ears to learn your ideas, willing to work with you on a mutual beneficial basis to achieve bilateral success. 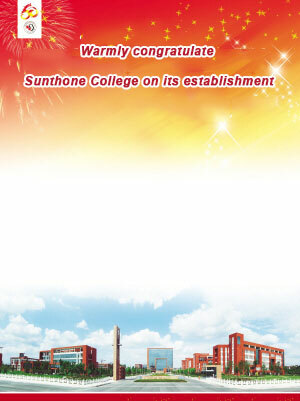 Sunthone updated ISO9001:2008 quality management certificate. 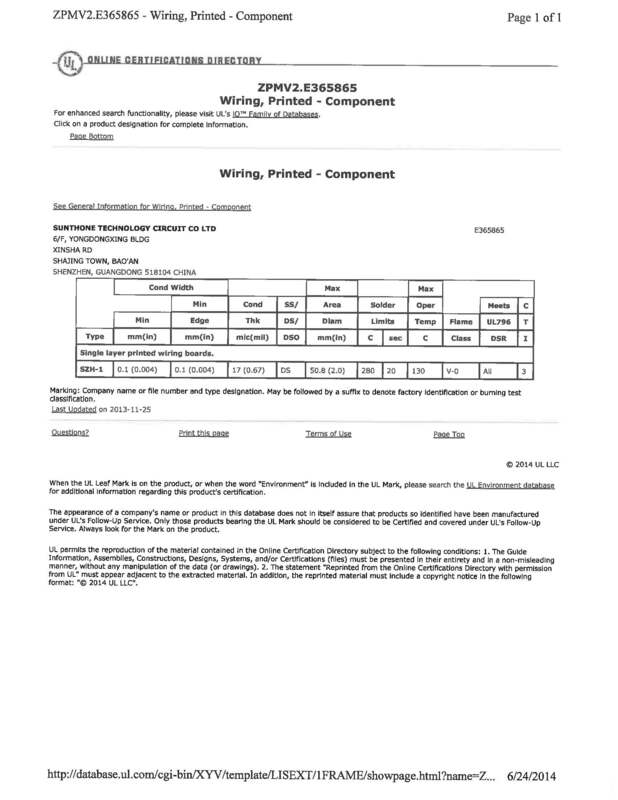 Sunthone updated UL certificate to include multilayer PCBs. 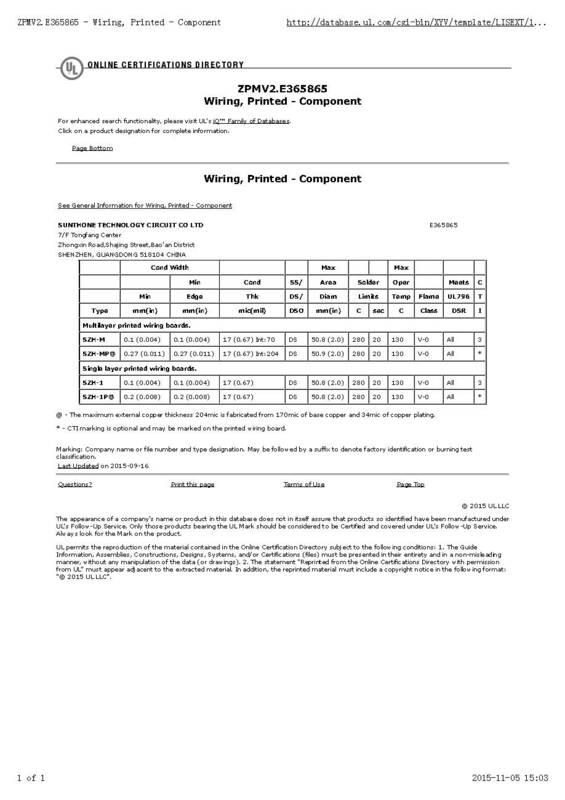 Sunthone updated UL certificate to include maximum 6Oz heavy copper PCBs. Sunthone has been paying special attention on the construction of enterprise culture since its foundation. 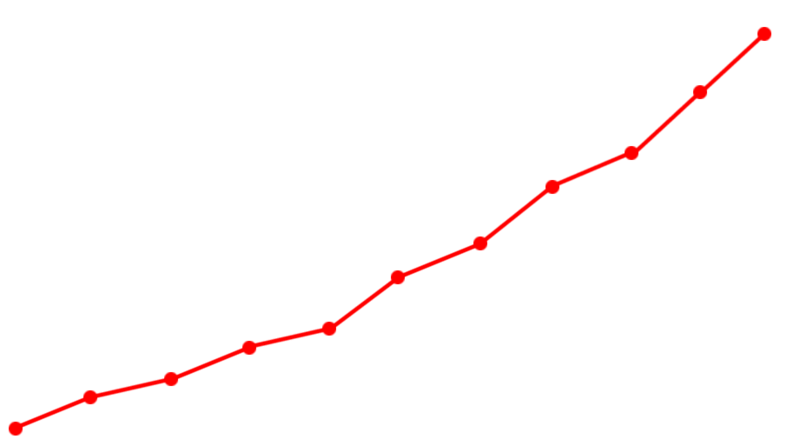 With years development, the company creates a culture of unique charm gradually. Under the guidance of enterprise culture, Sunthone forms an innovative team consisting of experienced managing directors and well-trained operational workers. The enterprise culture brings scientific policy, standard operation, high efficiency and rapid growth to the company. The company has systemic training system, providing all-round education and training to every staff, to improve their capabilities. The staffs come from all over China, but they are marked with the same company culture. Their efforts and hard work make the development of the company. All of the staffs tie together, stepping forward hand-in-hand.